The letter below is from Abby King. "Many of you know who I am. Even more of you probably know who I am without knowing it. I have worked for and with Loretta for many years. As a matter of fact, September 5, 2010 will mark my 19th anniversary at Salem Cinema. Do you remember the first movie you ever saw at Salem Cinema? Do you remember how it enchanted and inspired you? I do! Back in the spring of 1991 when I was a sophomore at Willamette, I purchased my first Salem Cinema ticket to see Richard Harris and Tom Berenger in Jim Sheridan's THE FIELD. And I was hooked. I couldn't begin to count the number of Salem Cinema films that I have drawn from emotionally since then. I also can't begin to imagine the gaping hole that would be left in our community if there were no Salem Cinema. 2. As much as I love Salem Cinema, I'm also not sure why this message is on a food blog. 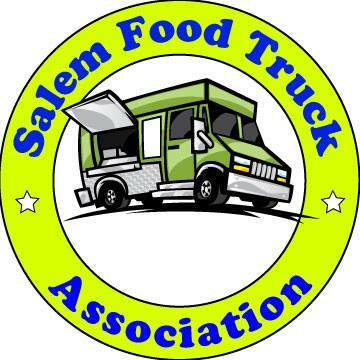 I decided to include this on eatsalem, because Salem Cinema is a part of Salem that is near and dear to my heart. Plus, after talking to some friends last week, I realized how many people still don't know about owner Loretta's current situation. You can read more by clicking this link or the underlined link below. "Many of you read our recent e-mail update and the plea for your contribution and support, for you to step forward and become Salem Cinema's guardians and emmisaries as we struggle to keep our doors open. One of our devoted customers included information in his blog, we hope you'll read it and take it to heart: A Movie A Week: Expand Your World and Maintain Salem's Best Cultural Feature. We are truly grateful!" In what I sincerely intend to be a spirit of constructive criticism, one of the things Loretta has started doing in the new venue drives me nuts: the schoolmarmish "lecture" with which she starts each show about not talking---it reminds me of kindergarten. Talking was never a huge problem at the other location, and her decision to chastise the audience before the problem arises is annoying at best and a big turnoff at worst---it makes me think twice about whether I can stand listening to it yet again. Anonymous, I guess I'm truly a kindergartner at heart, because that's one of the things I love--(at both the old place and this one) listening to Loretta share her thoughts on the movie and the friendly reminder to do what I often forget. Now that N and I are beginning a regular Tuesday Salem Cinema night, we're missing out on the talk. Must be her night off.